HOPPER / FEEDER: 3.6m3 (4.7yd3) Hopper capacity. Two stage grizzly feeder as standard. 50mm (2") Nominal spacing grizzly. 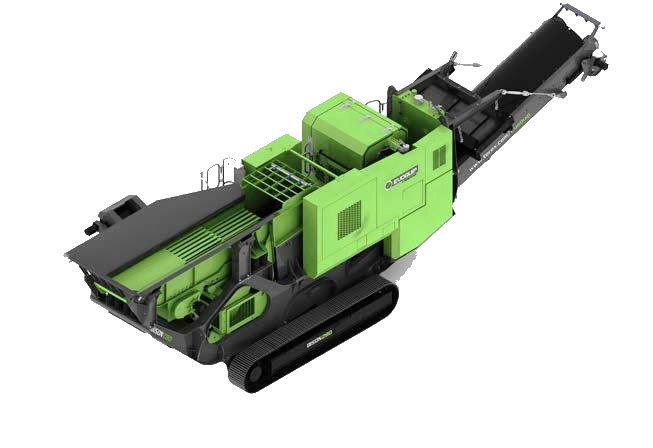 JAW CRUSHER: 900mm x 600mm (36" x 24") Jaw Inlet. Min CSS: 40mm (1.5") Recycle / 50mm (2") in natural rock. Max CSS: 125mm (5"). Hydraulic jaw adjustment. POWERUNIT: Tier 3: CAT C7.1 140kW/188Hp. Tier 4 Final: 129kW / 172Hp CAT C7.1 engine. Direct drive to crusher via clutch and V belts. OUTPUT POTENTIAL: Up to 200 tph / 220 US tph.